CLI can be great for app development and deployment, and even come with tangible business benefits. Learn what a CLI is, how admins and devs use them, and using SaaS with a CLI in this great overview. Find out how a CLI can help your company with app development and deployment! A CLI can help developers and administrators get apps deployed quickly, in addition to the other uses of CLIs, such as automating tasks for an operating system or running helpful commands that can run a ping, get information on files, or execute file system commands. CLI stands for command-line interface though you might also hear of this under a different name or acronym, such as character user interface (CUI) or command-line user interface. A CLI allows a user to commands to a program using written text rather than a GUI (Graphical User Interface). For many years, CLIs were the main form of interacting with computers. The introduction of GUI operating systems such as Windows and Macintosh eventually made computer operation easier for beginners, but CLIs have remained as an alternate means of interaction, often employed by more advanced users such as administrators or developers. How do CLIs help Administrators and Developers? 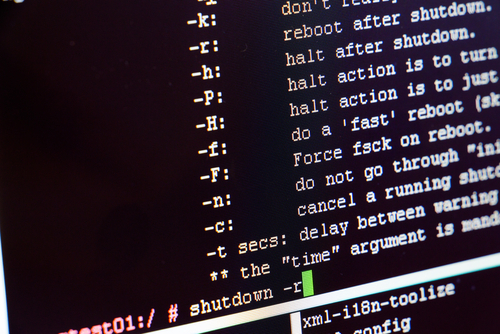 For administrators and developers, a CLI can be a handy tool for interacting with a particular piece of software. Whether it is an operating system, server, or another system, a CLI can provide you with the ability to provide additional parameters to the commands that you need to run. This sort of flexibility helps when you need to configure a command to run a particular way. For example, getting a directory listing in a CLI for Windows is done by typing “dir” and pressing “Enter”. This works well for short listings, but if that particular directory has a large number of files, you may not be able to see what you needed on the screen. To help with this, you can add the “/p” parameter, e.g., “dir /p”. This time, the CLI will display the number of files that will fit on a single page and allow you to continue as needed until you see what you need. With Morpheus, you can provision apps and databases in real-time to public, private, and hybrid clouds and spin up databases, apps, environments and more with a few simple clicks. You can use the monitoring service to keep track of overall app uptime and response time while also tracking the vital statistics for each individual piece of your app. With all of these features, why not give Morpheus a try today? Click here to sign up for a demo now.